Democrats say Republicans are trying to obscure PPACA's success at helping people get health care. The Centers for Medicare & Medicaid Services (CMS) is an arm of the U.S. Department of Health and Human Services (HHS), but CMS information technology specialists acted as if they were at war with HHS as they were preparing to launch HealthCare.gov. The staff of the House Oversight and Government Reform Committee use e-mail excerpts and other documents to support that conclusion in a new report on why the HHS Patient Protection and Affordable Care Act (PPACA) public exchange access website had so many problems when it opened for business on Oct. 1, 2013. The staff quotes an e-mail that Frank Baitman, the HHS chief information officer, received from a CMS employee on Sept. 27, 2013. The employee told Baitman that the section of HealthCare.gov responsible for handling enrollment for the PPACA exchanges managed by HHS had never been able to handle more than 500 users at the same time. HHS IT officials complained about the lack of detailed information they were getting from Henry Chao, the CMS deputy chief information officer, who helped manage HealthCare.gov development, but Chao seemed skeptical about whether the HHS officials asking for information had any ability to, or sincere interest in, improving the situation. “If you can’t recognize a burning house and its implications, what good is it to have a bunch of firemen tell you there’s a burning house if you’re not going to do anything about it?” Chao asked in an e-mail quoted in a Baitman e-mail. Zac Jiwa, an HHS employee, told Baitman: “Your leadership only wanted to hear beautiful music and talk about rainbows and unicorns,” according to another e-mail quoted in the committee report. HHS officials talked about coming up with ways to “engage in convert ops to get around CMS,” the committee staff says. Today during a HealthCare.gov hearing, Rep. Darrell Issa, R-Calif., chairman of the committee, complained repeatedly about the lack of cooperation he had received from CMS. Greg Wilshusen, a witness from the U.S. Government Accountability Office (GAO), said CMS had cited security concerns in efforts to keep documents that GAO had requested out of the GAO’s hands. Eventually, Wilshusen said, the GAO got the documents it requested. Democrats on the committee accused House Republicans of once again trying to distract Americans’ attention from PPACA’s success at helping to hold down the cost of health care and help people get health care services. Rep. Jackie Speier, D-Calif., complained that the House has had many hearings on HealthCare.gov, even though there is no evidence that anyone has stolen personal information from the system, and no hearings at all on large, successful, well-known efforts to steal personal financial information from private companies such as Target, or from government contracts. Rep. Elijah Cummings, D-Md., thanked Marilyn Tavenner, the CMS administration, for her work on implementing PPACA. “You may never hear the full thank yous from the people who are going to be alive because of what you and your colleagues have done,” Cummings said. 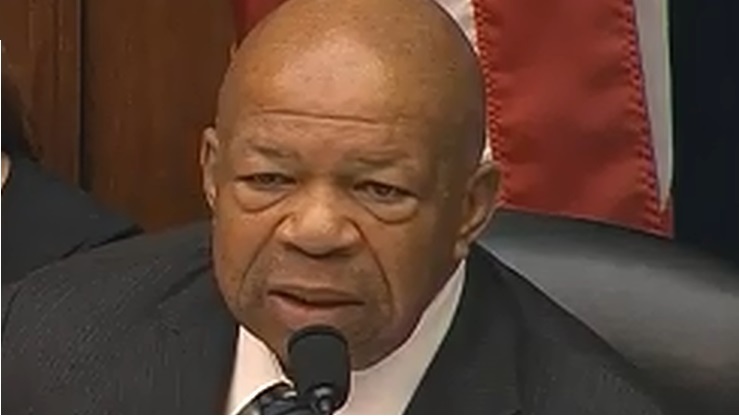 Cummings said he has heard from his sister of many women who knew they had breast cancer and waited until PPACA took effect to seek treatment.